Looking to buy Toshiba Canvio Basics 2.5″ 2 TB Portable External Hard Drive? 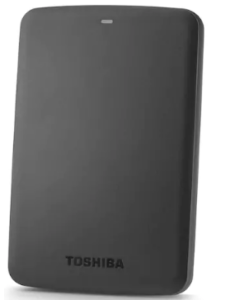 Paytm is selling Toshiba Canvio Basics 2.5″ 2 TB Portable External Hard Drive (Black) at Rs 4627. So, Hurry up!! How to Buy Toshiba Canvio Basics 2.5″ 2 TB Portable External Hard Drive (Black) at Rs 4627?